Today, it seems that our lives are so scheduled there is little leeway for an abrupt need for time away. That’s why online funerals are becoming more popular, and more accepted. While we might desire to attend a service in person, many times that isn’t an option, but attending virtually permits others a chance to participate and mourn. 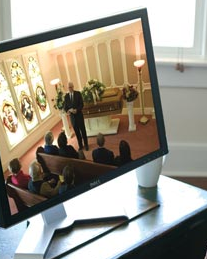 Attending a service via a private webcast allows family and friends from far away the ability to see and hear the service in the privacy of their own homes. An online funeral also lets the elderly, those in hospitals, or serving in the military, an opportunity to still be a part of the remembrance service. So how does it work? A tiny unobtrusive camera mounted at the rear of the chapel films the funeral service. The camera is linked to a computer with software that allows the video to be streamed live. Those attending virtually sign in with a password to attend the services. Memorial programs are available online, and a printed version can be made later. When mourners arrive at the cemetery, GPS can locate the gravesite, and others who wish to visit can use these coordinates later. One caveat to a virtual funeral is that the service can be viewed at the attendee’s convenience, not necessarily when it is actually being held. In fact, research indicates that family and friends who physically attended the service also view it online, many watching numerous times. Death is a distracting and numbing event, but by recording the service, family members can revisit it, giving them a chance to remember happenings they might have missed. Funeral homes may archive the service and make it accessible for viewing for up to six months. 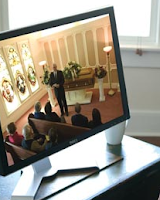 Most people who have utilized webcast funerals expressed satisfaction at being able to have those far away join the family at the funerals - making it a true family experience. But does this sound the death keel for funeral homes and traditional services? Most funeral directors think not. After all, a funeral service is for remembering and sharing. 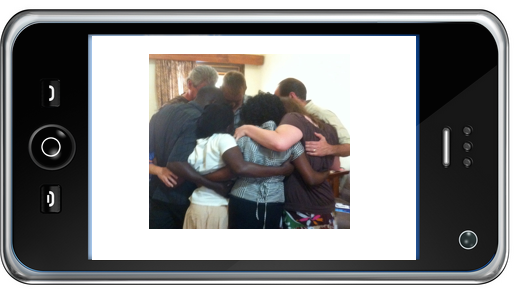 It is about the human experience, remembering the deceased and supporting the loved ones left behind.